Two related but distinct elements are sometimes intertwined when one thinks about the organization of Chinese governance. The first touches on the constitution of the Chinese Communist Party--its internal and self reflexive constitution along socialist democratic anti-cult of personality Principles. The second touches on the external relationships between this Vanguard Party, in its leadership role, and its partners through the administrative mechanisms of government. Both of these elements share an important normative element--the centrality of collective action. Collective action itself describes an evolving concept at the core of Leninist theory for the operation of legitimate vanguard political organizations that mean to retain an authoritative leadership role . That notion of collectivity has evolved from the time of its first manifestations in early post revolutionary Marxist Leninist states. These were marked by a crude interpretation of democratic centralism tied to the linchpin of a charismatic (and sometimes less charismatic) leader whose cult of personality sometimes subsumed the collective character central to a legitimate Leninist organization within his (never hers to date) own body. Modern Leninist theory rejects the notion that a vanguard party cannot exist except as manifested through a single leader serving at his pleasure. The healthy development of a more collectivist and internally democratic post revolutionary and governing vanguard party has seen its greatest development in China. China's own constitution appears to reject the notion of cult of personality--of a leader who hijacks the vanguard, and swallowing it like a piece of cake declares himself its singular manifestation. This ought to be so even as particular personalities assume a position at the core of leadership, and leaders assume a core element of Party governance. It is in this light that one might consider the 2018 changes to the Chinese Communist Party Constitution that speak to the practice of democratic centralism in the CPC itself, and thus the relationship of the democratic mass of the Party to its leadership, however constituted from time to time. That suggests a further evolution of the Leninist notions of collectivity that have been developing in China, the exact expression of which in the New Era remains to be seen. In building itself, the Party must work with firm resolve to meet the following five fundamental requirements. 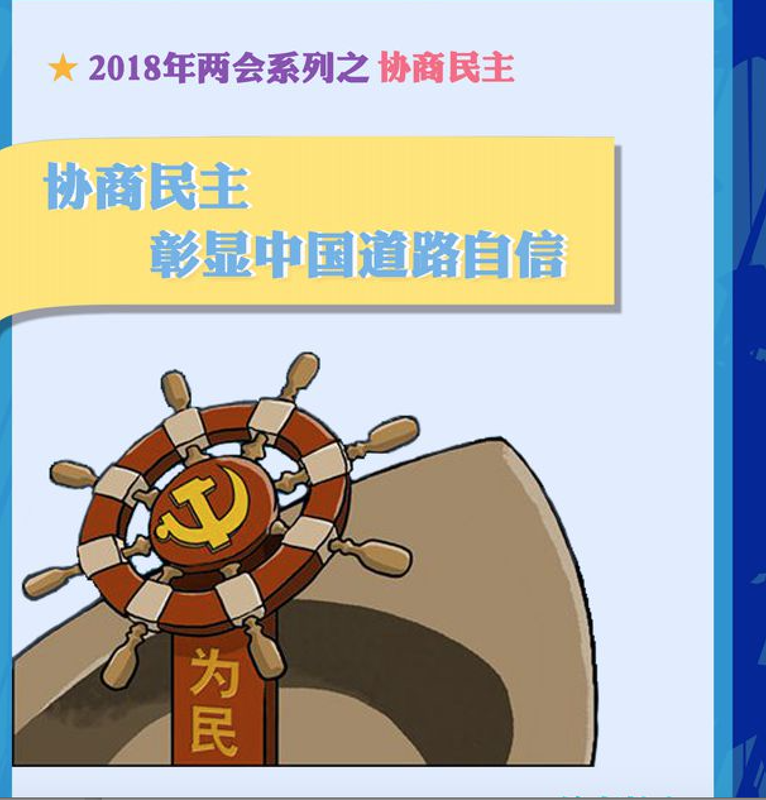 New to the development of democratic centralism in the New Era is an emphasis on the "core" of things--the core of leadership, the core of a specific individual at the core of leadership, the core of the CPC in leading the people and the like. The notion of a core remains to be developed fully but it appears to suggest a hierarchy of influence and authority with respect to which the core occupies the higher place. In the context of democratic centralism, the refined notion of a core appears to suggest a much more precise location of the authority of "the center" within democratic deliberation. It implies not merely the authority to guide, but also the authority to decide on the basis of the deliberations of those ranked below the core int he exercise of a guided deliberation with respect to matters under consideration. There is thus a double guidance now implied in the concept of democratic centralism. The first is the authority of the core to guide the scope and form of deliberation (the boundaries of the exercise of democracy within the CPC). The second is the authority of the core to adopt a position in the wake of this deliberation that then must be adhered to by the CPC and which then represents the expression of CPC leadership outward in its external relations with the masses and in the state apparatus with respect to a particular matter. That double guidance, now is much more clearly centered on multiple cores that spread out from the core of the leadership, to the leadership as core, to the CPC as core. Thus both the notion of leadership is understood still as grounded in collective deliberation, but that leadership itself is also now manifested within a hierarchically arranged series of ever widening collectivities. The larger the collective the more subject to the leadership and guidance of the collective placed above it--all the way to the core (now it appears a single human being) at the core of the highest organization of collective leadership. Correct centralism must be practiced; all Party members must keep firmly in mind the need to maintain political integrity, think in big-picture terms, uphold the leadership core, and keep in alignment, and firmly uphold the authority and centralized, unified leadership of the Central Committee with Comrade Xi Jinping at the core, so as to ensure the solidarity, unity, and concerted action of the whole Party and guarantee the prompt and effective implementation of the Party’s decisions. The Party must ensure that reform and opening up are carried out in unity with the Four Cardinal Principles, put its basic line into effect in all fields of endeavor, and combat all mistaken tendencies of the “Left” and Right, maintaining vigilance against Rightist tendencies, but primarily defending against “Leftist” tendencies. Perhaps a rightist error would be to read in this change a movement back toward feudalism--that is that democratic centralism tied to leadership cores moves the role of the CPC from its basic political work of moving toward a Communist society to the work of preserving the power of these cores as a new aristocracy. This effective abandonment of CPC objectives would of course strip the vanguard of its legitimacy and constitute a rightist putsch. More to be feared perhaps is an interpretation that reads into this revision a return to the leftist errors of the Great Proletarian Cultural Revolution. It is not of nothing that the CPC constitution warns more against Leftist than Rightist error. Leftist error tends constitutes a core breach of CPC duty and adherence to its Basic Line primarily because it represents a fundamental betrayal of the core notion of socialist modernization, of the CPC's fundamental obligation to move the country forward. To return to old ways of doing things, to retry the behaviors and patterns of a stage of Chinese history that has now long past, to relive the past, even a Leninist past, is not merely ideological error but also betrays the other core value--to seek truth from facts. And the facts of the fatal history of European Marxist Leninism to which such an interpretation would inevitably lead suggests a road to the destruction rather than the fulfillment of the Leninist obligation of the vanguard. These issues are especially relevant in the wake of the proposed changes to the Chinese constitution that are being considered int he wake of the changes to the CPC Constitution after the 19th CPC Congress in October 2017. A much discussed amendment would lift the term limits for China's president and vice president (here). Read together with the changes to the CPC Constitiuon's notions of core and collective at the heart of the principle of democratic centralism, it has caused much speculation about the extent to which such amendment promotes "rightist" or "leftist" error (e.g., here, here, and here). Yet none of this is set in stone. Moreover this evolving expression of Leninist collectivity, this refinement of the notion of centrality and democratic participation within levels of leadership, also leaves questions open for further development, might be more usefully read within the context of a long development of the intellectual idea of the form and exercise of collective leadership with Chinese characteristics. To that end it may be useful to re-consider Hu Angang's Collective Presidency in China (2014), which I considered in "Crafting a Theory of Socialist Democracy for China in the 21st Century: Considering Hu Angang’s Theory of Collective Presidency in the Context of the Emerging Chinese Constitutional State," Asian-Pacific Law and Policy Journal 16(1):29-82 (2014). Chinese language version为21世纪的中国设计社会主义民主理论：中国宪政国家兴起语境下对胡鞍钢“集体领导制”理论的思考，Tsinghua University Journal (forthcoming 2015). One of the most interesting variations of this approach within Chinese constitutional discourse is the notion of collectivity in the decision-making structures of Party and state in China. Hu Angang has most recently drawn on this general theory of democratic governance through collective action, and more especially on its theory of socialist democracy organized around a collective presidency. He is part of a line of theorists who are developing a theory of democracy that looks beyond the exercise of elections to the exercise of power within state and political entities. Hu suggests that if the ideal of a constitutionalist state is the exercise of democracy through representative and accountable institutions of governance, then it is possible to implement that ideal both by focusing on popular elections (traditional view) and by increasing responsive democracy within governmental and political institutions (Chinese socialist democracy). In both systems, the core democratic principle of legitimate constitutionalism is exercised. In one case (Western democracies), democracy is operationalized through the exercise of the franchise to elect leaders. In the other case (Chinese democracy), democracy may be embedded in the exercise of democratic and representative practices within the institutions of state -- and as a critical part of the operation of the democratic functions of the party in power in one-party (or vanguard party) constitutional states.31 Either way, systems are instituted that enhance rule of law governance grounded in principles that reflect the political community as a whole in whose collective interests the representatives act. Yet Hu understands that “in almost 200 countries around the world, the personal presidential system is known, but the notion of a collective presidential system is not. This innovative practice by China is poorly understood, and it is not one that foreigners agree with.” (Ibid, pp. 36-38). the ideal of a collective presidency has wider implications for the ordering of the CCP’s internal democracy and the decision-making structures of the state organs. The essay has sought to suggest the ways in which socialist democracy may more robustly embrace both its Marxist and democratic elements in the service of the core functional mission of socialist modernization, and the advancement of a harmonious society. It remains cautious that while theory is important, actual practice, and the appropriate functioning of the system from the highest to the lowest levels, is critical for success. To that end, the CCP has not concluded its task of better embracing the insights and obligations embedded in its mass line. The political work of naturalizing socialist democracy with the Chinese people remains a task as important in China as the equivalent task of civic education has been important in the West for a long time. (Ibid., pp. 81-82).